← Don’t Shoot the Drone! 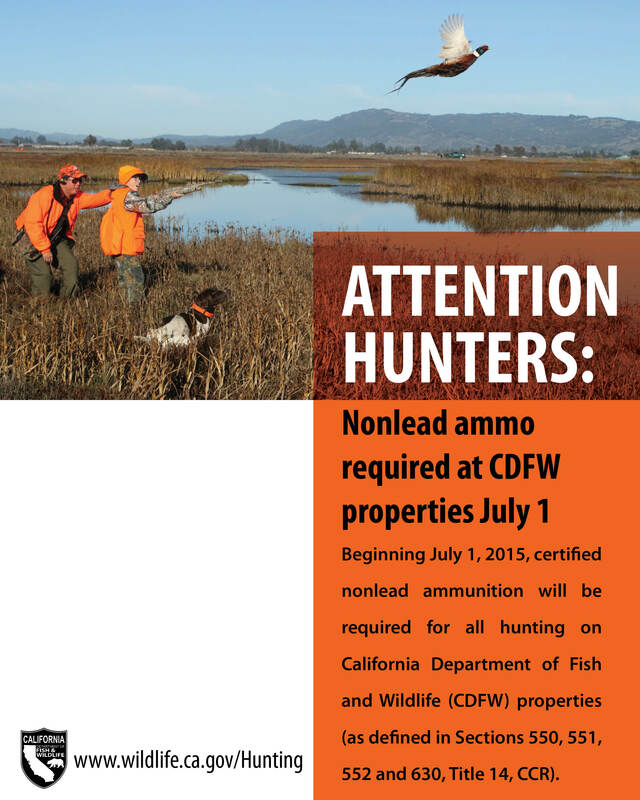 On July 1, 2015, nonlead ammunition is now required when hunting on all California Department of Fish and Wildlife (CDFW) lands. You will also need to use nonlead ammunition anywhere in California when hunting Nelson bighorn sheep. If you are caught with any lead-based ammunition and a firearm that is capable of firing it, you will be in big trouble and may even be in jeopardy of being fines and having your firearms and ammo confiscated. Today, you should be able to find nonlead ammunition in most calibers and cartridge sizes for most hunting applications. Be forewarned that as a particular species season approaches, hunters will flock (pun intended) to their neighborhood stores and the Internet to get their ammunition which will lead to shortages. Make sure you purchase your leadfree ammunition well in advance of when you plan to use is. Also, buy enough for a couple of serious sessions at the range to sight in your scopes and evaluate how the ammunition performs in your particular firearms. Do not think it will perform the same and this could cause you to miss, or even worse, injure an animal that gets away only to suffer and die much later. An accurate, clean shot the dispatches the harvest quickly is always the best shot. This entry was posted in Firearms, Equipment and Ammo, Hunting. Bookmark the permalink.